Want Reasons to Lose Weight? 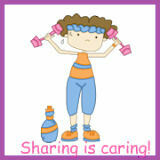 Would Knowing the Effects & Health Risks of Being Overweight Influence You? If you need reasons to lose weight, then hopefully this page will show you the light about the effects and health risks of being overweight. OK... I'm guessing you're here because you're at least thinking of losing weight. And if that's true, then you already know that you don't like how you look or feel being overweight, right? 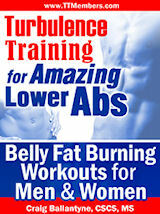 But did you know that carrying around excess fat is actually dangerous to your health? I mean, big time? And that that danger increases exponentially with every 10 additional pounds you put on? Type 2 diabetes. We used to think of diabetes mainly in terms of an inherited disease. But these days, anyone can – and does – develop type 2 diabetes (what used to be called adult-onset diabetes, but now is known to affect even young children). 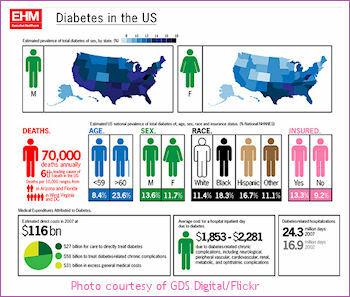 The reason why this type of diabetes has reached epidemic proportions? Because so many people today are so overweight! Heart disease. Your circulation in and around your heart can become inflamed and blocked by deposits resulting from fat and too high a blood cholesterol level, both of which are common in overweight and obese people. When the circulation can't get to your heart and related organs, then chest pain, high blood pressure, heart attack or even brain attack (stroke) can result. Metabolic syndrome. This syndrome is a sort of "perfect storm" of obesity-related risk factors for heart disease and diabetes. A person with metabolic syndrome has approximately twice the risk for coronary heart disease and 5 times the risk for type 2 diabetes. Some kinds of cancer. Being overweight increases your risk for esophageal, colon and kidney cancer. In women who have gone through menopause, it also increases your risk of breast and uterine cancer. Sleep apnea. This is a condition where you stop breathing during the night, while sleeping, for short periods. Because you're not really getting restful sleep, you may be sleepy while awake, have difficulty concentrating and even subject to heart failure. Osteoarthritis. This is the most common type of arthritis, which is an inflammation and stiffening in the joints. The most common joints affected in overweight people are the knees, hips and lower back. Gallbladder disease. Your gallbladder is part of your digestive system. When you weigh too much, this small organ may become inflamed, causing pain and/or cholesterol deposits called gallstones. Fatty liver disease. This happens when fat builds up in your liver, causing inflammation. It can lead to severe liver damage, cirrhosis or even liver failure. It is similar to alcoholic liver damage, but is caused by the fat in your body, rather than by drinking too much alcohol. Complications of pregnancy. In women of childbearing age, being overweight can make pregnancy risky both for mom and baby. Common problems are gestational diabetes, pre-eclampsia (problems with blood pressure) and increased risk of cesarean delivery (C-section). The baby has an increased risk for neural tube defects(spina bifida), stillbirth, prematurity and being born extra large. 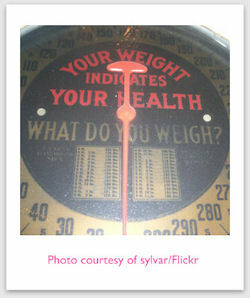 Unfortunately, it's not only your physical health that is threatened by you weighing too much. Emotional suffering and relationship issues are often common in overweight and obese people and are more important reasons to lose weight. Despite the fact that 2/3 of our population in the U.S. are overweight, there is still a tremendous stigma to being fat. Our society equates physical beauty with being slim... some might even say skinny... so people who don't fit that image (us!) often feel unattractive and unwanted. 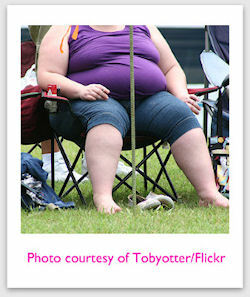 In addition, people often associate obesity with gluttony, laziness and moral weakness. People who are overweight can face prejudice in school, on the job and is social situations. Feelings of shame, low self esteem, depression and rejection often follow. The myth of the jolly fat person is mostly just that... a myth. It's hard to feel happy when you're overweight and people are judging you. If obese people do act happy or jolly, it may be more a coping mechanism than how they truly are feeling about themselves and life. So, I hope by now you realize there are many good reasons to lose weight. Your continued health is at stake. But the good news is that you can stop many of the health risks of being overweight in their tracks by losing even 5 to 10 pounds. So use these reasons to lose weight as motivation for your efforts. I guarantee you... it'll be worth it! 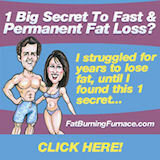 The Benefits of Losing Weight, Which Are Great Reasons to Lose Weight!